Fastlane Autocare has provided a mobile mechanic service for over 10 years covering the whole of the North West of England. We offer a fully mobile service, with established branches in many areas including, St Helens, Chester, Chorlton, Manchester, Liverpool, Leyland, Warrington, Wigan, Preston, Sale and Stockport. We are able to offer repairs and servicing in North Wales and as we are insurance approved, this means we can offer a quick and efficient solution to any vehicle issues, including static caravans, tourer caravans and motorhomes. Fastlane Autocare continues to be one of the leading mobile mechanics with a team of dedicated vehicle technicians who each hold specialist expertise and experience. Fastlane Autocare prides itself on every job undertaken and offers a 100% customer satisfaction guarantee for all customers and contracts whether private or commercial. Give us a call on 07943185471 where a member of the team will be happy to help with your enquiry. When your battery is out of power let Fastlane Autocare fit your new car or commercial vehicle battery at a time and place to suit you! We can fit your new car or van battery at your home or work place so that you can carry on with your day as planned. Our estimated times of arrival are the fastest in the North West of England! Whether you are in Manchester, Liverpool, Warrington, Wigan, Birchwood, St Helens, Lymm, Stockport, Childwall, New-Brighton or Wallasey; we will be there in no time at all. We are also able to supply and fit batteries in the North Wales area including leisure and boat batteries. We carry all brands of batteries including Lucus, Exide and Bosch, holding a large stock so we are sure to have the correct battery for your vehicle. For all of your battery fitting needs for any make or model of vehicle including motorbikes, vans, cars, trucks, H.G.V and commercial, as well as caravans, motorbikes and boats, call us on 07943185471. 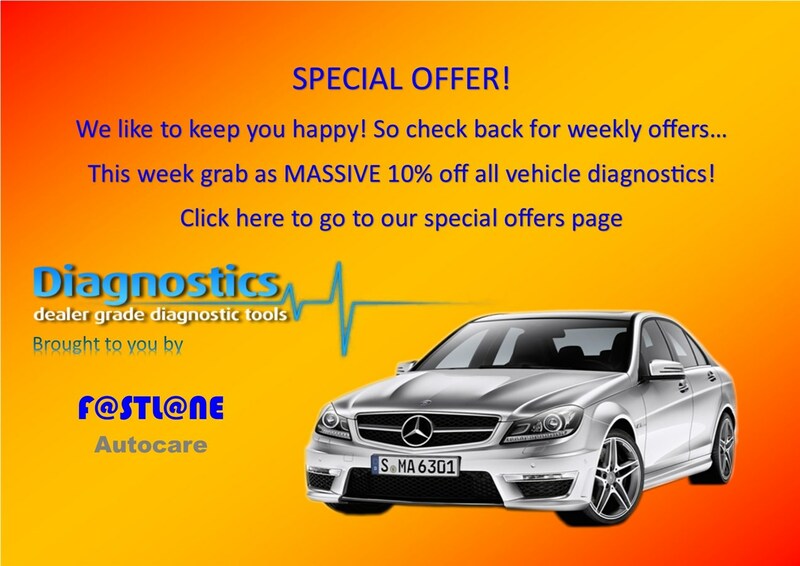 Fastlane Autocare provides an around the clock mobile tyre fitting service 7 days a week. We carry an extensive selection of new tyres for all budgets starting from £54.95, which includes fitting and balancing. We are able to offer a fully mobile tyre fitting service at your home, roadside or even the work place. We are sure to have the right choice for you along with an estimated time arrival of just 30 minutes in many areas. In line with current government standards, we take away your old tyres and dispose of them safely. We have mobile tyre fitting vans ready to assist you 24 hours a day, 7 days a week covering the whole of the North West of England. We also offer roadside assistance and emergency tyre rescue on all of the major motorway networks including the M60, M62, M6. No matter where you are, we are ready to fit your new tyres. Call us any time on 07943185471. Here at Fastlane Autocare; we carry all of the latest technology in ECU diagnostic equipment. Our team is fully trained with many years of experience, ensuring we can quickly locate and diagnose any issues with your car, van, truck or motor-bike. We carry dealer level diagnostic equipment and technology that covers many different makes and models of vehicles. If your engine management light is on, this is your vehicle informing you that your engine may have an issue. If your ABS, air bag, traction control or battery light has come on, we can get to the root of the issue quickly. Even if your vehicle has failed its MOT because of your instrument lights, then give us a call on 07943185471. We are specialists in all areas of diagnostics and have a dedicated, specialised team that is ready to help! We offer a Fast-Fit Service so once your vehicle's issue has been diagnosed, most problems can be fixed the very same day as we stock many parts! Let us diagnose the issue, solve the problem and switch off the light! Call a member of the Fastlane team directly on 07943185471. Fastlane Autocare offers a 24-hour recovery service around the North West of England. We have fully qualified recovery team that can assist with any breakdown your vehicle may be having. We can recover cars, caravans, motorhomes, vans and motorbikes as well as quad bikes, scooters and even mobility scooters. We offer a competitive recovery service with prices starting from just £64.95! If you have broken down, getting home or to your desired destination might not be as expensive as you think! Here at Fastlane Autocare, we offer an effective, low-cost solution to roadside assistance and recovery. Whether you have had a crash or just need a vehicle transporting, our recovery trucks and rapid deployment vehicles are on hand ready to help and offer a 24 hours a day, 7 days a week rapid recovery service. No matter what type of vehicle you need recovering in the North West, we can help. Give us a call on 07943185471 where we will be happy to assist you. If you're looking for a reliable and fully mobile 4x4 mechanic service, look no further! Fastlane Autocare holds over 10 years of experience in repairing, maintaining and upgrading 4×4 vehicles. We offer servicing, repairs and maintenance as well as diagnostics and regeneration services. We offer competitively priced services and with the very best in diagnostic software to fault find any issues including auto gear box, auto electrical diagnostics and repairs, we are sure to be able to offer a comprehensive and dealer-level service. As we are fully mobile, we can offer discounted services at a time and place to suit you. We also have to hand recovery trucks and rapid deployment recovery vehicles which can carry 4x4 vehicles offering roadside assistance and transportation. Fastlane Autocare covers Liverpool, Manchester, Stockport, Wigan, Warrington and all other surrounding areas across the North West and North Wales. Call us now on 07943185471, where a member of the team will be happy to assist you with your enquiry. I would just like to thank you and your team for helping with my motorhome, which had previously failed its MOT. I'm back on the road, travelling again. Thanks again to the Fastlane Autocare team for all of your help. - L. Peter - Chester.